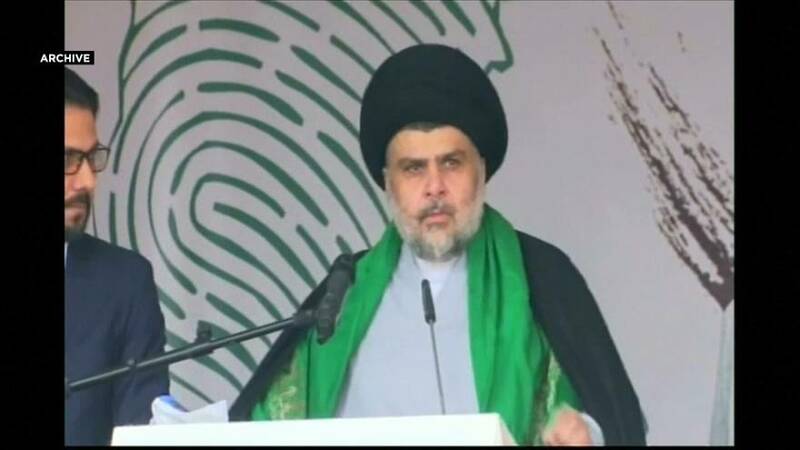 In a stunning turnaround, the political alliance led by firebrand cleric Moqtada al-Sadr is almost certainly headed for first place in Iraq's parliamentary election. A long-time adversary of the United States, he rose to prominence in 2003 after the US-led invasion toppled dictator Saddam Hussein. With his Mehdi Army militia, Sadr led two uprisings against US forces in Iraq. But he is also one of the few Shi’ite leaders to have distanced himself from Tehran. He portrays himself as an Iraqi nationalist and corruption fighter and has a strong following among the young and poor. Sadr didn't run as a candidate himself, and winning the largest number of seats doesn't guarantee he'll be able to choose the next prime minister. He'll now have to negotiate to form a coalition government. And the mood on the streets was pessimistic. The outgoing prime minister Haider al-Abadi called on all sides to respect the results, indicating he's willing to work with Sadr to form a government.